Our first messy play and a big step out of the comfort zone. I dont do baby groups, I don’t do meeting new people on my own. I did one once when Lincoln was about 5 months old and I have never felt so isolated and unwelcome before. I knew nobody their and I always struggling making conversation with new people. 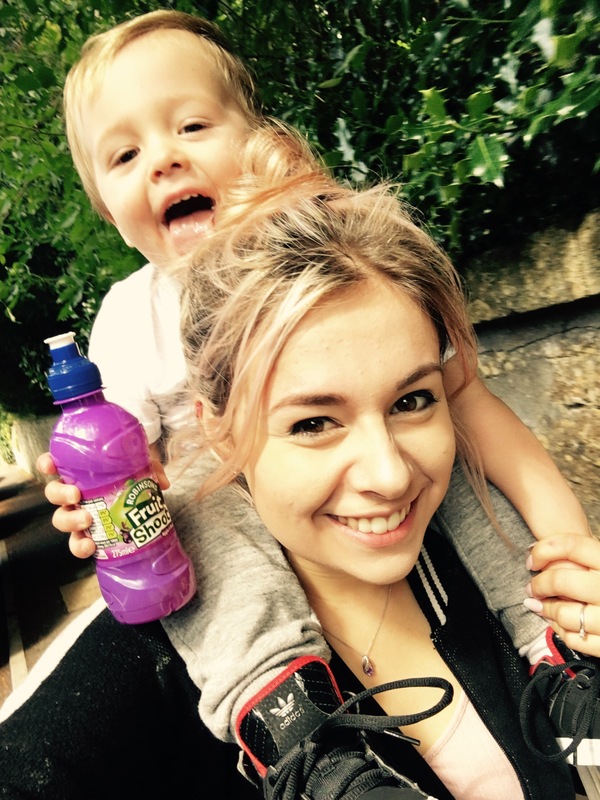 I was the youngest mum and I had the oldest baby and when you do the usual sit in a circle and introduce yourself I felt like the entire world was looking at me! I was asked to go to this group by my health visitor no clue why It wasn’t even in my village or close to where I lived but I went, I hated it, and I said I would never go to something like that again. Its not as though something hideously traumatic happened it was just enough for me to say never again. I do feel awful about it. My insecurities and uncomfort meant Lincoln didn’t get to experience these kind of groups. I know a lot of people don’t bother with them but It was something whilst pregnant with Lincoln that I wanted to do and that one experience really put me off! Maybe with my next baby I might make more of an effort and try it again. After being invited along to the messy play by Tom’s Sister along with Megan and her little girl I agreed and decided it was something we were definitely going to do. 2 or 3 times I nearly talked myself out of it, coming up with excuses to not go. But I went against my past experience and we went. Lincoln is such a confident and happy toddler. He will talk to anyone, Play with anyone and is always the star of the show! Not today. Im not sure if the 5.50am wake up had worn him out come 10am or the fact I managed to get him to walk the whole way their or what but he was stuck to me like glue. I worried that this was totally my fault and he was sensing my worry or discomfort. He didn’t want to be undressed or to get stuck in and play. He just clung to me. It was so strange. However as soon as I started playing and Interacting with him and Zach he slowly started to enjoy it. For some reason he did not want to get messy at all which is totally unlike him! He’s usually the one eating sand and rubbing his face in tomato sauce, Tiff and I spent a lot of the time laughing at his complete disgust at touching some of the stuff they had their. Zach on the other hand got totally stuck in.. Literally! He loved every minute of it. Sitting in the angel delight must of been his favourite! after 45 minutes Lincoln was ready to get dressed and go home. So rather than force the matter I got him changed and we walked home. His cheeky self soon resumed! I love the time I get to spend with him and really appreciate my days off with him. 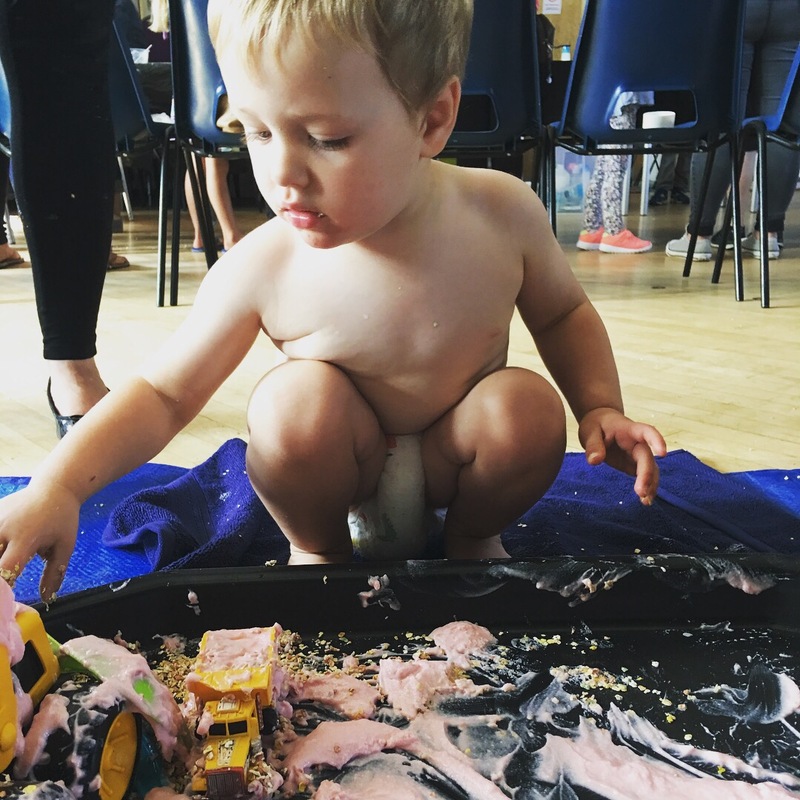 This experience of a mum and baby group has totally changed my opinion and we are already excited for the next messy day! This has definitely given me the want to get involved more and to show Lincoln how to get stuck in and have fun even when you aren’t in your comfort zone. Once we were home him must of had a total sensory overload the little rascal slept for 2 hours and woke up with a massive smile on his face and ready to spend the afternoon playing at home! The group we went to was a slime workshop and messy play. The slime workshop was for older kids and really looked like fun! It was run by M&M Events After speaking to Shelly you get a sense of just how much thought and fun goes in to all of their events and it is something we will be following!